Product prices and availability are accurate as of 2019-04-02 05:21:12 EDT and are subject to change. Any price and availability information displayed on http://www.amazon.com/ at the time of purchase will apply to the purchase of this product. 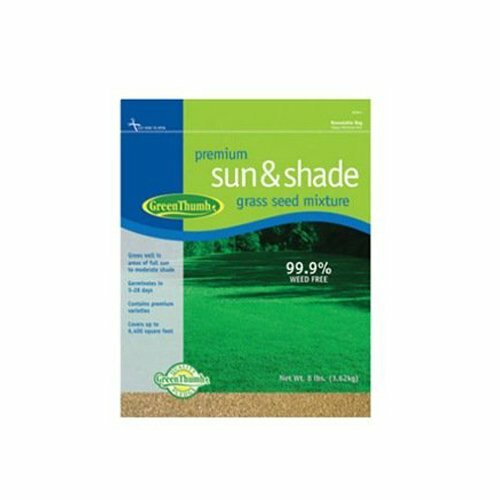 Green Thumb Premium, 3 LB, Sun & Shade Grass Seed, A Mixture Of Improved Blue Grasses, Fine Fescues & Perennial Ryegrasses, Bagged.